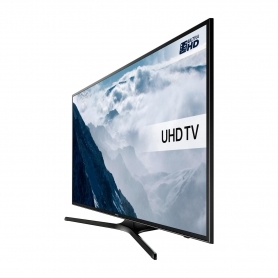 True Ultra High Definition (UHD), 1300 PQI, and all the smart TV benefits make the Samsung UE40KU6020KXXU a great choice for reaching cinema standards in your own home. 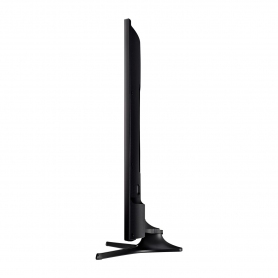 This model comes with a table top stand, and if you are looking for a different size, it’s available with a 55” or 65” screen. 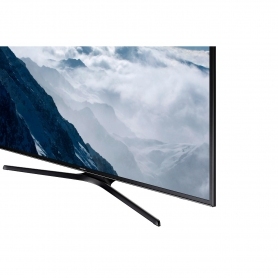 You’ll be immersed in lifelike imagery with this Samsung TV, optimised for greater clarity and detail. 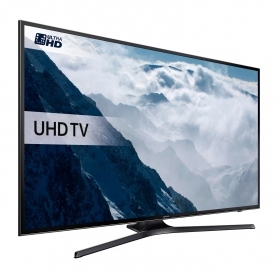 The Ultra High Definition Resolution is four times higher than Full HD and delivers over 17 million stunning colours. Samsung’s PurColour brings colours to life with added vibrancy, and UHD Dimming applies varying contrasts to individual screen sections. There’s even Auto Motion Plus technology, which increases picture sharpness, while the Ultra Clear Panel reduces light reflections. Together, these features create bright, realistic images that make watching TV more enjoyable than ever. When it comes to TV entertainment, High Dynamic Range (HDR) is the next big thing, and the Samsung 6020 series is ready for it. The UE40KU6020KXXU can take full advantage of the impressive brightness, enhanced shadows and true-to-life colours that come with HDR content. If you want to watch lower resolution content, such as live TV, UHD Upscaling automatically converts it similar UHD quality. This gives an increased level of image detail and clarity. Samsung’s Smart Hub gives you quick and easy access to a whole world of content. In just three clicks, you could be watching your favourite TV series on Netflix or the latest blockbuster film on Amazon Instant Video. A variety of apps mean you can catch up on any missed programmes, and the easy-to-use TV guide allows for simple navigation and content discovery. And, with the UE40KU6020KXXU, you will have access to more than just films and TV shows. Cloud gaming opens your TV up to a huge array of games, without the need for a console. There are games to suit the whole family, with categories including racing, sports, and action. Smart View also lets you enjoy photos and videos on the 40” screen. Simply download the Smart View app on your phone, and you can enjoy mobile and PC content on your Samsung Smart TV. You can even control the TV with your mobile. This Samsung TV comes with a range of additional features. Multiple connectivity options, including HDMI and USB, mean you can plug in a range of devices at the same time, while the Quad Core makes it fast and simple to multitask on your TV. It also comes with 20 W RMS sound to match its fantastic image quality. 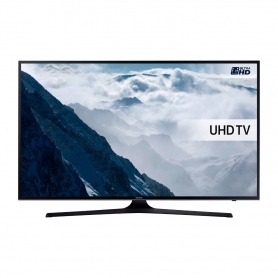 Experience unparalleled television quality with the Samsung UE40KU6020KXXU – order yours today.